Spiers New Technologies selected Nuvation BMS™ for their 57 kWh second-life stationary energy storage system. A battery’s life is not over after it leaves a vehicle. Second-life batteries tend to have a strong state of health after they no longer can support the required range for the EV. Their re-use eliminates the strain on the environment by extending the EV battery’s lifespan. Nuvation Energy assisted Spiers in re-purposing used Nissan Leaf batteries for use in fast-charging EV charging stations to enable demand charge management and reduce the strain on the utility grid. The BMS in an EV pack is not well suited for stationary energy storage applications. Where stationary storage tends to utilize the Modbus communications protocol, the EV pack uses CAN. Stationary systems also tend to be high voltage, whereas EVs are commonly low voltage. 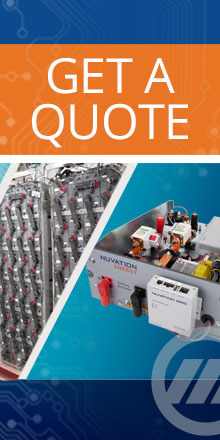 Spiers selected Nuvation BMS for their repurposing effort because of the high quality of our utility-grade BMS and because of Nuvation’s capability to provide system integration support.